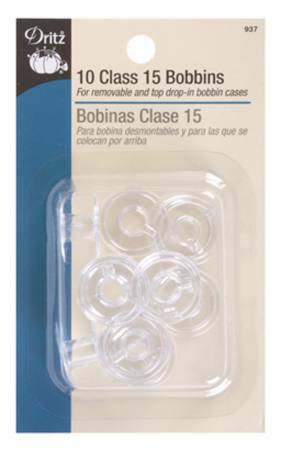 For removable and top drop-in bobbin cases. Consult yoursewing manual to determine type of bobbin needed for yourmachine. Fits all Singer class 15 models and some of thefollowing machines: Baby Lock, Brother, Riccar, Simplicityand White.